Clemson University (commonly known as just "Clemson") is one of the most frequently searched colleges in the United States, according to a recent internet keyword search of American universities. 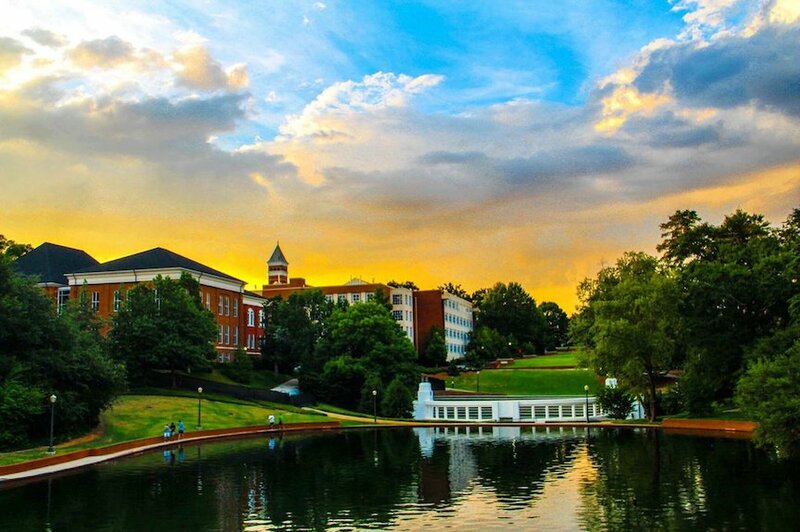 Established in 1889, Clemson is a public research university in South Carolina, which currently maintains an enrollment of roughly 25,000 students, most of them studying at the undergraduate level. In student population, Clemson is the 2nd largest university in the state. Yet, the student faculty ratio remains a reasonable 18 to 1. Clemson offers undergraduate, graduate, and professional certificate programs. The college consistently ranks in the top 30 among all public universities in the United States, according to U.S. News and World Reports. Still, roughly half of graduating high school seniors who apply to Clemson are accepted. 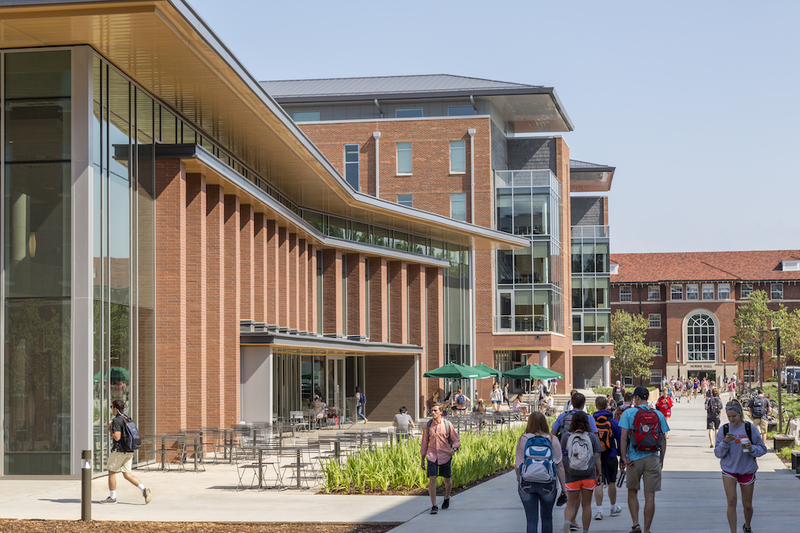 According to Princeton Review, Clemson ranked 1st in the nation for its career program in 2018. According to collegestats.com, Clemson also ranks 1st in the nation for campus safety. In 2015, Clemson's Department of Automotive Engineering was ranked 10th in the world. Notable graduates of Clemson include South Carolina Governor David Beasley, tennis player Jay Berger, NFL stars Dwight Clark and William "Refrigerator" Perry, Olympic Gold medalist Brianna Rollins, and U.S. Senator Strom Thurmond, to name only a few. Clemson is accredited by the Southern Association of Colleges and Schools Commission on Colleges. Shown above: The Clemson campus in Clemson, South Carolina. Here are the answers to some frequently asked questions about Clemson University. 1. Where is Clemson University? The main campus of Clemson University is located in Clemson, South Carolina. The city of Clemson is situated in Pickens and Anderson counties, about 30 miles southwest of Greenville. Above: The award winning International Center for Automotive Research at Greenville. 2. What is the organizational structure of Clemson University? 3. What undergraduate studies are offered at Clemson University? Undergraduate course offerings at Clemson cover a broad range of subjects. 4. What graduate programs are available at Clemson University? Go here to learn about PhD Programs Available at Clemson. 5. How much does it cost to attend Clemson University? Roughly $7,450 to $12,000 for non residents. Approximately $450 to $1,185 per credit hour for graduate students. Other fees may also apply, such as application fees, registration fees, health fees, technology fees, and library fees, among others. Financial aid may be available to those who apply by filling out the FAFSA form. Aid may come in the form of grants, scholarships, loans, and/or work study programs. 6. 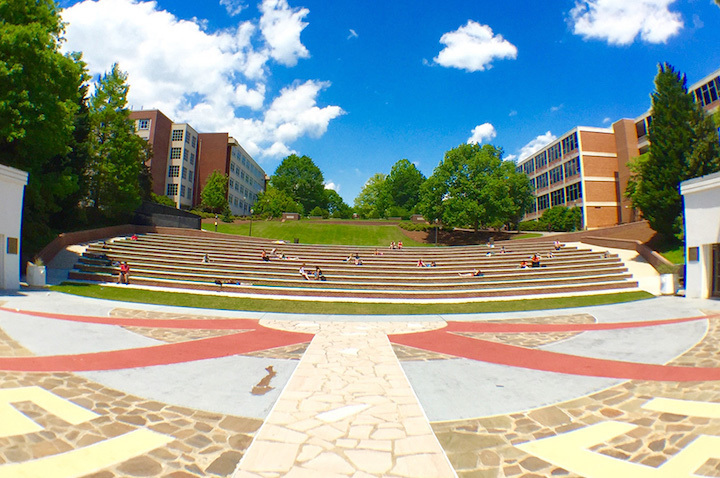 What is the Clemson University campus like? The main campus of Clemson occupies roughly 1,400 acres at the base of the Blue Ridge Mountains. On-campus attractions include the Fine Recreation Center, featuring a climbing wall and an indoor track, among other athletic opportunities. The campus is adjacent to Lake Hartwell, where sailing and swimming are popular activities. Also near the campus is the Clemson Experimental Forest, a 17,500-acre property that is managed by the university, and used for research as well as recreation. 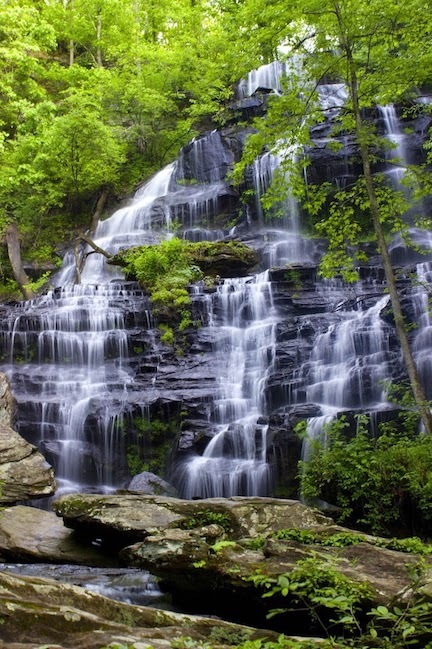 Above: A waterfall scene in the Clemson Experimental Forest. The main university campus is home to administrative buildings, academic buildings, libraries, labs, and residence halls. Among the campus student services are a daycare center, campus security, placement services, health services, and others. The Clemson University campus is conveniently within walking distance of downtown Clemson. The International Center for Automotive Research occupies a 250-acre campus in Greenville. Above: The Core Campus of Clemson features dining options and other conveniences. The school colors are "Clemson" orange and Regalia (purple). The varsity athletes at Clemson are known as the Tigers. They play for the NCAA Division 1 - ACC. Also available on campus are a number of club sports, such as some of the ones listed above, as well as billiards, bowling, dodgeball, racquetball, and many more. Clemson also offers a diverse selection of non athletic campus activities to choose from. Student organizations include an Amateur Radio club, a Bass Fishing club, a Black Students Union, a Chess club, and a Sign Language club, to name just a few. 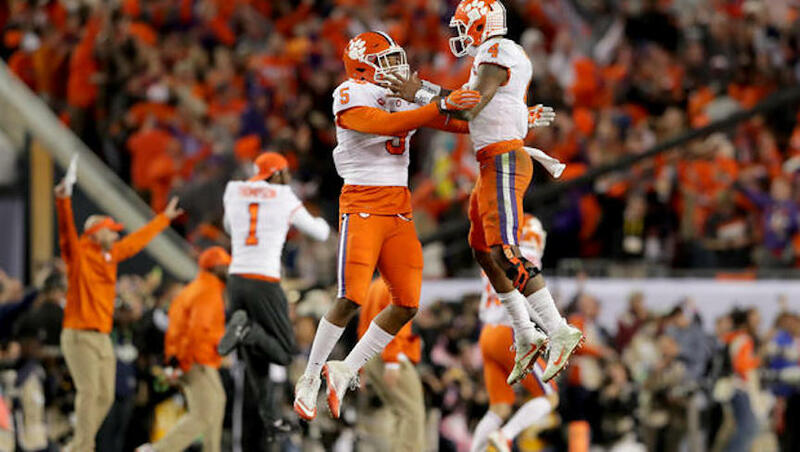 Above: The Clemson Tigers win the College Football Championship. 7. What are the distance learning options at Clemson University? Clemson Online features a wide range of both hybrid and fully online courses. Some entire programs are offered fully online, for students pursuing Masters degrees and professional certificates. 8. What is the contact information for Clemson University? To reach the undergraduate admissions office of Clemson, call 864-656-3311. To reach the International Center for Automotive Research in Greenville, call 864-283-7100. For information about distance learning programs at Clemson, call 864-656-9320. Above: Downtown Clemson, South Carolina.